Justin joined The Aubuchon Team of Companies in 2009 as Director of Estimating. Justin coordinates and manages both the purchasing and operations aspects of the construction business. His contributions and impact to the company began immediately, resulting in increased efficiencies in many processes, and lower costs to the customer. Today, Justin’s responsibilities have expanded, working closely with New Home Construction Consultants to increase sales, and directly with the customer during the entire pre-construction and construction process ensuring the journey goes exactly as planned. His extensive experience in both the local and national markets include these companies: WCI Communities, Mercedes Homes, Stock Development and The Jack Parker Corporation. He has gained an invaluable amount of hands on experience which has contributed to Justin’s ability to succeed in any role he accepts. Justin is extremely active in the community. His daughter, Brooke, was born with congenital heart disease and has inspired his involvement in a number of charitable organizations. Justin is the Vice President of the Ronald McDonald House Charities of Southwest Florida and is extremely active in the Make a Wish Foundation, of which his daughter was a recipient. He is also a member of the Board of Directors of the Roy Hobbs Foundation for Cancer research and coordinates a number of events to assist in their fundraising endeavors. His philosophy of “paying it forward” is evident in all that he does. 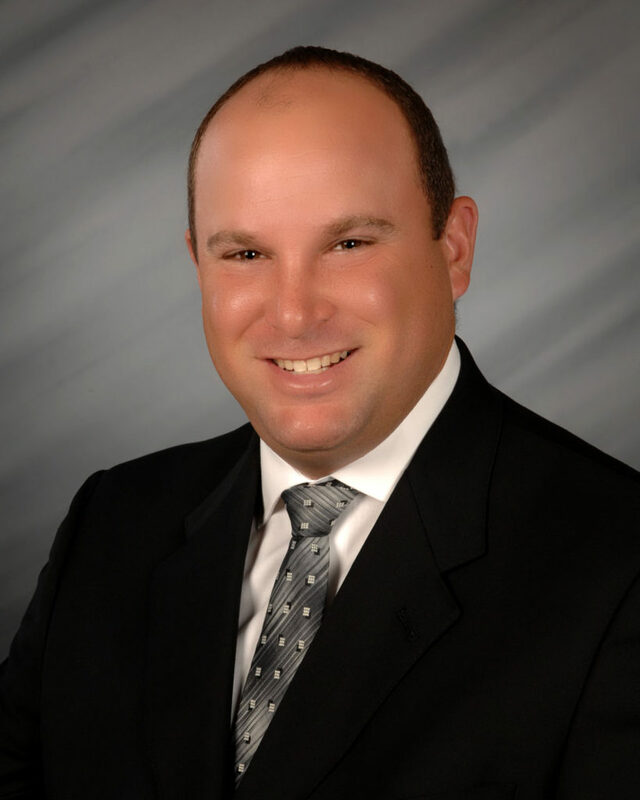 Justin was born and raised in Southern New Jersey until relocating to the Cape Coral area in 1994. When his career in professional baseball ended abruptly due to injury, his interests turned to construction. As a result, he has held virtually every position within the industry over the past 19 years ranging from Superintendent to Division President. In 2012, Justin was named one of the Recipients of the 40 under 40 award from Gulfshore Business Magazine. Married since 1997 to his love Jennifer, Justin and his family currently reside in South Fort Myers. His two children, Bryce and Brooke, attend Heights Elementary School in South Fort Myers where his wife was selected as one of Lee County’s 2011 Golden Apple recipients, recognizing her as one of area’s most elite teachers. Together with their Golden Retriever, Dante, the Einstein family remains excited about the future here with Team Aubuchon. Affiliations: CCCIA, LBIA, CBIA, NAHB, Make a Wish Foundation, Ronald McDonald House Charities of SW Florida, EPA-Certified Renovation Specialist and The Roy Hobbs Foundation for Cancer Research to name a few. Contact Justin, 239.541.3730 or via email, jeinstein@aubuchonhomes.com.